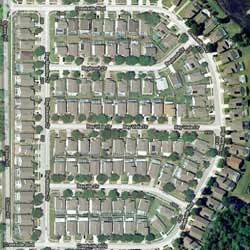 The beautiful city of Creekside is located in the wonderful city o Kissimmee. Just shy of the center of town the location of Creekside couldn’t possibly be any better. In the past decade the Central Florida area has grown exponentially, and two major cities have seen the most benefits, the Orlando area and the Kissimmee area. 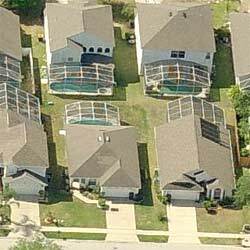 With so many people moving into the Central Florida area, a wide variety of communities and neighborhoods have been built over the years to accommodate for the rapid expansion. However, coming here and just driving around in a car is a tedious task if you’re looking for a place to live or vacation. With our help and knowledge we can tell you exactly why Creekside Community is a great place to live and what amenities it offers you! One of the best parts about Creekside is how close to Kissimmee it is. While its not within distance of all the traffic and hustle and bustle it is just a short distance from all your daily needs. Creekside is literally a two minute drive away from the local Wal-Mart, and if you are a fan of walking or jogging you could get to and from this shopping center without a car! Wal-Mart is located right on U.S. 192, which means getting around is easy, once you are on U.S. 192 you have access to just about everything. Whether you are looking for a Home Depot or a grocery store, you can find it just around the corner. Just to the left of Wal-Mart is the popular Medieval Times, a great dinner show, you will know it when you see the massive castle with large torches right on the main road. If you’re visiting the area and looking for a vacation home you’re probably already know this. If you are actually looking to live in the area then this might come as a surprise to you. 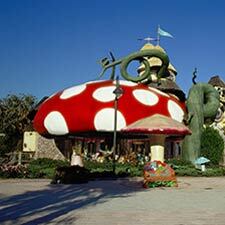 Just a few years ago the Orlando area was awarded the “Number One Destination for Vacations in the World” award. That means that Central Florida thrives off tourism, something that started back in 1965 when the famous Walt Disney announced that he would be bringing his life long dream into reality by opening the Walt Disney World Resort in the Orlando area. The Walt Disney World Resort is home to four separate theme parks, the Magic Kingdom, Hollywood Studios, Epcot and Animal Kingdom, as well as two water parks, the Typhoon Lagoon and Blizzard Beach. 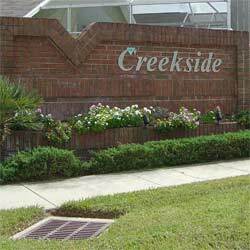 The Creekside neighborhood is located only twenty minutes away from the main gate to the Walt Disney World Resort! Just a bit further you can find Universal Studios and Islands of Adventure, joined together by Central Florida’s City Walk. Another popular theme park in the area is Sea World, where you get to see sea life perform incredible stunts! Right next door to Sea World is their sister park the Discovery Cove. Here you can swim with the dolphins and other sea life! So when you’re visiting the area or looking to buy a house it is easy to see why Orlando and the surrounding cities are such a fan favorite! Because Creekside is located so close to Orlando you will have an abundance of local attractions and shopping to enjoy throughout the year all around you. One of the most popular parts of Kissimmee is Old Town, a local shopping center with a wide variety of interesting and unique places to buy souvenirs. It is also important to note that Old Town hosts a wide variety of events throughout the year! If you’re looking to enjoy Florida’s nature you can visit Lake Tohopekaliga and enjoy the fishing capital of Florida! Even take an airboat ride across the waters and see the Florida wildlife first hand in their natural habitats! Or head on over to Gatorland and see hundreds of alligators, even get the chance to feed and hold them! These low costs forms of entertainment are just a few of the many available in the area! An interesting fact to note about the Creekside Community is that it is located directly across the street from the Give Kids the World Community. This charity organization takes terminally ill children into a full sized neighborhood filled with theme park attractions. Giving the family a full sized house to live in and making their kids as happy as possible this organization takes the children to any theme parks they choose in the Central Florida area. The non-profit group is entirely volunteer based and makes these kids last days the best they have ever had. If you’re interested in helping you could simply walk across the street and visit the colorful and comical neighborhood! Something that Creekside has that other communities have lost side of is the common side of Florida. One of Florida’s greatest benefits is the massive oak trees that can be found just about every, well here in Creekside the houses were built with the Florida nature in mind. These shady oaks cover the streets and yards of about just every other house. This raises property value as well as offers you or your kids shade during the day! Newer neighborhoods will have you within twelve feet of the other homes, small properties and baron landscaping. However here at Creekside you will have a large yard, beautiful gardens and shady oaks, what more can you ask for?